Last weekend, Francophiles and Philadelphians – the ones who weren’t down the shore, anyway- flocked to the Fairmount section of the city for the 19th annual Bastille Day celebration. Across the globe, the French people celebrated their national holiday with picnics, parties and fireworks. Here, the Eastern State Penitentiary led the neighborhood in a celebration worthy of a block party with a light-hearted reenactment of the storming of the Bastille. As tradition would have it, local “experimental cabaret troupe,” The Bearded Ladies, graced guests with an hour long outdoor stage performance, emceed by an Edith Piaf impersonator. There was plenty of dancing and singing throughout the set, and Marie Antoinette mocked the crowd from the walls of the Penitentiary, and shouted her command to “let them eat TaskyKake.” On cue, thousands of Butterscotch Krimpets were hurled at the crowd below. While we weren’t lucky enough to catch a Krimpet, I did make something special and French inspired for a weekend brunch – traditional Quiche Lorraine. 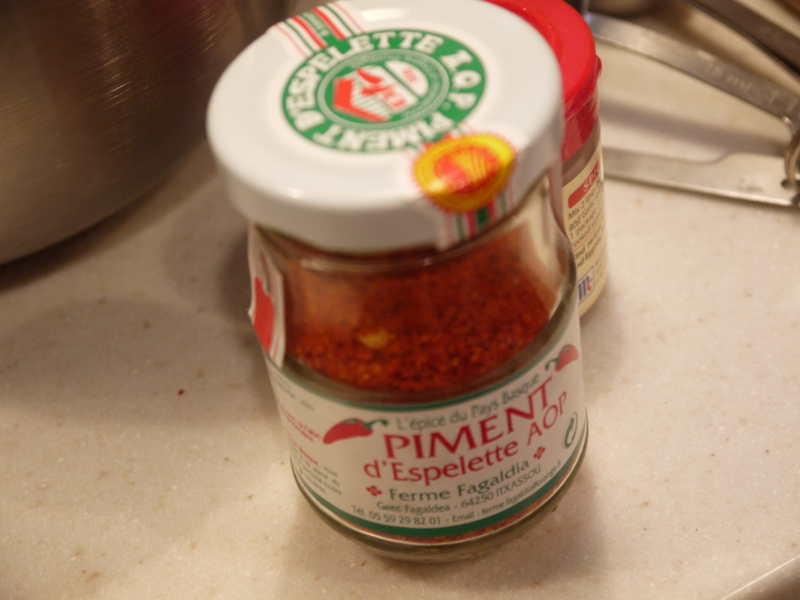 Espelette from Paris replaced the Cayenne in this French recipe.